Located in the North Kesteven district of Lincolnshire, Sleaford is a market town in the East Midlands. With a population of around 18,000, there’s a variety of housing in the area ranging from compact terraces to more spacious detached properties. At My Home Move Conveyancing we’ve been developing our knowledge of property markets like the one in Sleaford since 2001, allowing us to bring our clients in the town an outstanding, specialist conveyancing service. If you want to buy or sell property in Sleaford, you must instruct property lawyers to complete the legal work for you. 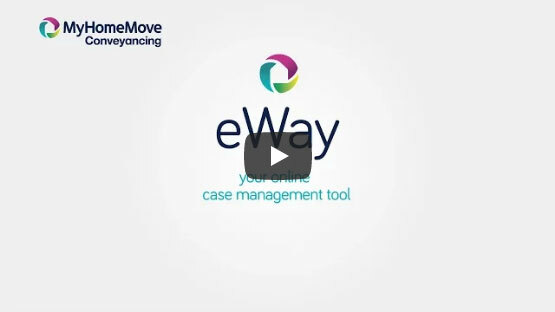 My Home Move Conveyancing offers award winning customer service, intimate knowledge of the local market and a revolutionary use of technology. Our professional conveyancing service comes for a fixed fee, so you can budget for how much you’re going to pay right from the beginning. There are no hidden fees to worry about when you choose us to be your Sleaford conveyancers. What’s more, you can take advantage of our ‘no completion – no fee’ policy for total peace of mind. You’ll be assigned a dedicated conveyancer who’ll oversee everything for you, looking after all aspects of your case from start to finish and regularly providing clear, easy to understand updates on your progress. You’ll also have access to your account online, so you can check up on things at a time that’s most suitable for you. At My Home Move Conveyancing we get things right first time round, and we’re proud to provide our conveyancing services in Sleaford to homebuyers across the area, whether you’re looking for something in the town centre, by the train station, or a neighbourhood like Quarrington. The average house price in North Kesteven is £183,158, while the overall average sale price in Sleaford during the last year was £168,797. Most sales in this period involved detached houses, which went for an average of £216,865. Semi-detached properties sold for £145,578 and terraces fetched £125,945. Sleaford’s history stretches back to the Iron Age when it was formed at a crossing of the River Slea. A castle was built in the area in the 12th century, around a similar time that Sleaford was granted a market charter. It remained an agricultural town until the 20th century, and in the 1990s the town’s population increased thanks to the attractive housing, educational facilities and low crime rates. Sleaford has its own train station which can be used to get to other parts of the region as well as places further away like London. There are services to the capital’s Kings Cross station which take less than two hours, while it’s around half an hour to both Grantham and Boston, and 50 minutes to Nottingham. As Sleaford is relatively rural, there aren’t any motorways that run very close to town. The A1 does however pass not far to the west, heading to Newcastle up north and London in the south. There’s a good choice of schools in the local area to look at for your children, with primary options including St Botolph’s CofE, Leasingham St Andrew’s CofE and Osbournby Primary. Carrie’s Grammar School and St George’s Academy are among the best picks at secondary level, along with Kesteven and Sleaford High School. All properties in Sleaford will fall within one of the following council tax bands.